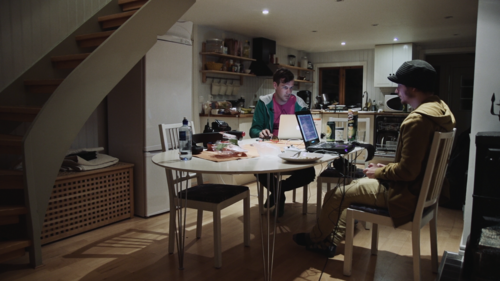 Filmmakers Bram Ruiter and Daniel Oliveira Carneiro and independent game label Devolver Digital announced today that the fourth episode of game development documentary series Super Game Jam are now available on Steam. Episode 4 follows Hotline Miami developer Jonatan Söderstrom and Rymdkapsel creator Martin Jonasson in the woods of Sweden as they design the local multiplayer game Torr based on the theme “underwater.” The series is also discounted with 25% off through the weekend to celebrate the launch of this next episode. Filmed in five cities over six months, Super Game Jam pairs two indie developers together for 48 hours and challenges them to create a game based on a theme suggested by their peers. The games will come bundled as playable prototype downloads with the purchase of the series ($19.99 for all five episodes and games. More information on Super Game Jam can be found at the aptly named supergamejam.com and by following @SuperGameJam and @DevolverDigital on the Twitter.